Sign up to Dry July Australia 2018 and raise funds for Bendigo Health. 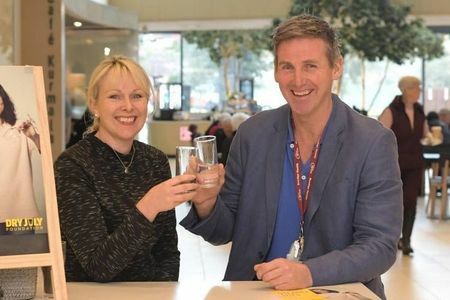 Bendigo Health’s involvement with Dry July aligns so well, as it aims to raise funds to improve the wellbeing of people affected by cancer and awareness of drinking habits and the value of a balanced healthy lifestyle. 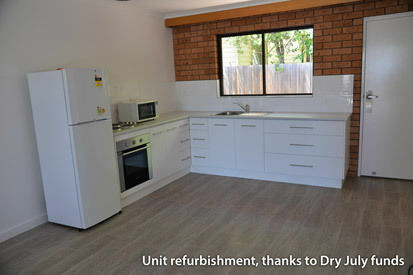 Dry July has supported Bendigo Health over many years and recently the successful implementation of the Cancer Rehabilitation Exercise Program and the refurbishment of the Lucan Street Cancer Patient Accommodation. This year funds raised through Dry July 2019 will go directly to the new Wellness Program that incorporates oncology massage, cancer rehabilitation, yoga, meditation, music and pet therapy and importantly a coordinator to connect our patients to the services that best meets their physical and emotional needs. More than a quarter of a million people in central Victoria rely on Bendigo Health when they need specialist treatment and care. Developing a Wellness Program will bring the Cancer Centre in line with other regional and metropolitan Cancer Centres and provide our patients with access to programs that will promote peer support and reduce some of the burden of the disease. A Wellness Program provides evidenced based benefits which are provided in the safety of the cancer centre and knowledge of the treating clinicians. The cancer centre recently conducted a survey of our patients to better understand their preference for wellness programs. The patients of the Bendigo Cancer Centre identified oncology massage, exercise and meditation as the top therapies that they would recommend to those diagnosed with cancer. We're proud to announce that Bendigo Health has received a grant from the Dry July Foundation 2018 Grant Program. 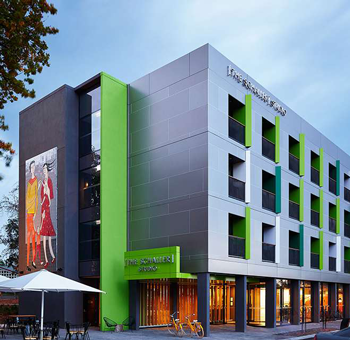 Thanks to funds raised through Dry July 2018, Bendigo Health will be upgrading their Lucan Street Cancer Patient Accommodation. The accommodation is essential and used by patients that have to travel long distances to receive cancer treatment. It is imperative to provide a comfortable and homely setting where they can rest and read. The 6 units are booked constantly and operate year round to provide this reasonably priced accommodation to assist families at a time when they are dealing with the challenges of their treatment and away from home.This service is greatly appreciated by patients who have stayed and their loved ones. Improving the surrounds and setting helps them feel safe and comfortable. The Lucan Street property with its close proximity to the Hospital is our busiest cancer accommodation property running at around 80% occupancy year round. On average there is some 1752 room nights produced by the 6 units at the Lucan Street property on a yearly basis. Thank you for supporting Bendigo Health this Dry July. In 2018 we welcomed Rachel Mason as the new Manager of Fundraising at Bendigo Health Foundation. Rachel has jumped on board Dry July and is doing really well! Rachel and Accommodation Services Manager Tyrone got together this week to share their Dry July stories and toasted each other over a glass of h2o. Keep up the great work everyone and thanks for making a difference at Bendigo Health. 2017 Dry July ‘Last Drinks’ celebration! To say thank you for jumping on board the Dry July campaign and helping Bendigo Health deliver a Cancer Rehabilitation Program, The Schaller Studio as part of the Art Series Group have kindly offered to host this evening for our Bendigo Health Foundation supporters. What: Enjoy an evening of ‘last drinks’ and canapes in the exciting Art Series property, the Schaller Studio. Work is underway at the Bendigo Health Nolan Street Patient Accommodation. Dry July funds gone towards the refurbishment. This accommodation is used by patients that have to travel long distances to Bendigo to receive treatment.